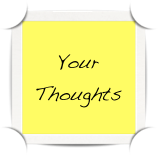 Your comments and suggestions are welcome and we consider them a valuable resource. You, the users of our software, are the best judges of what you need. Please visit our Contact page and shoot us an email. Express yourself by adding emotions, expressions and familiar icons to your photos, with a personal touch. Frame photos transforming them into a work of art. The age-old drinking game now with stunning animations and smart features sure to be the hit at your next party. Transform your favorite sports photos utilizing sports themed brush and color options. Draw on your favorite photos with an eclectic assortment of symbols creating your own masterpiece. The age-old drinking game like you’ve never seen it before! Record your own unique rules to watch in-game. Animations now have crystal clear sound and additional rules. Transform your favorite photos utilizing music themed brush and color options. Emoji Board is the ultimate compliment to your emoji keyboard! Featuring easy sharing of original, high resolution emoticons with anyone via Twitter, Facebook, email, text messages and more! A brand new way to decorate your favorite photos now available for any iOS device. A full selection of brushes available in Foto Brush plus a powerful text tool ready for your iPhone, iPod Touch and iPad. Personalize your photos by adding Emoji Brush 4‘s emoticons, expressions and familiar object icons. Export to Facebook, Twitter and Flickr. A multi-purpose, instant flashlight designed exclusively for your iPhone 4. Torch, strobe or timed light can all be summoned quickly for your convenience. Fast Foto is a simplified camera to snap the pic you want with one tap. Two ways to snap fotos: Snap fotos a la carte with Presets. Tell a story with Scenes. A new way to discover and watch short film. Add professional quality visual effects and animations to HD videos. Copyright © 2014 Bobby Cronkhite, Sam Dominguez, All rights reserved.